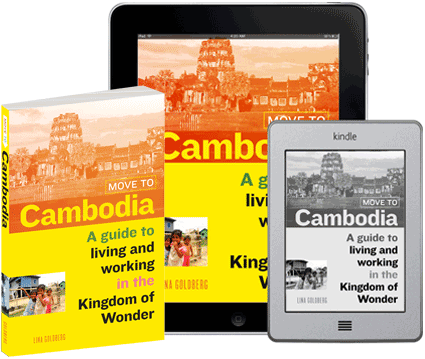 This family-run Kampot guesthouse offers inexpensive mid-range rooms that are great value for money. 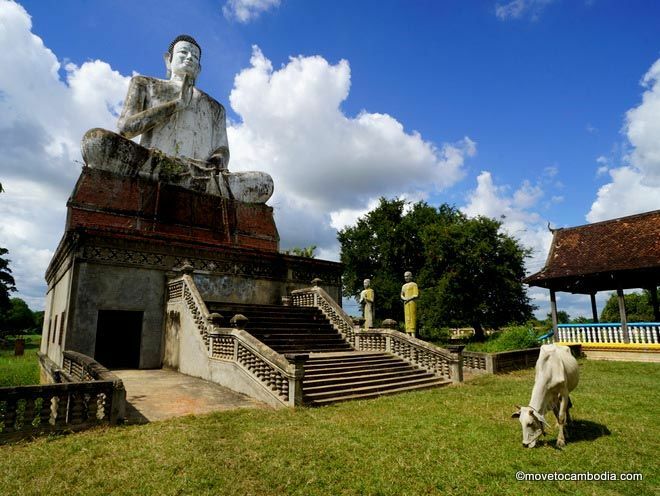 Rainbow Bridge Guesthouse is a centrally located Kampot guesthouse with inexpensive mid-range rooms. The guesthouse is a small, family-run affair with just four rooms, but they are a cut above similarly priced options in town. 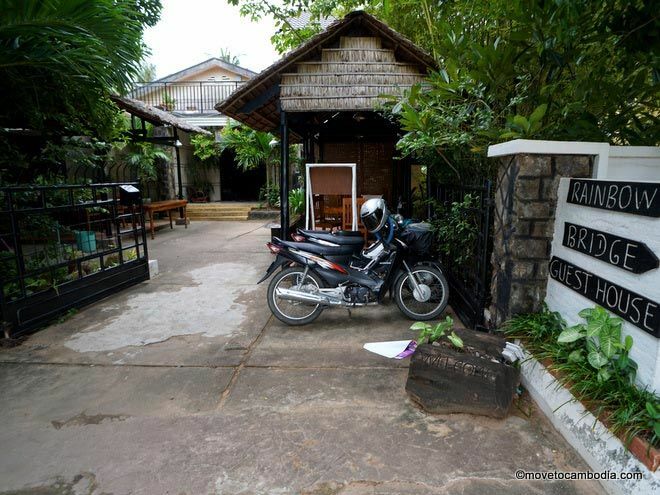 Located directly on the riverside road, Rainbow Bridge is within easy walking distance of Kampot’s bars and restaurants, plus they are the home of Ecran noodles, one of our favorite places to grab a bite in town. Rainbow Bridge Guesthouse is clean, cheap, and close to the action in Kampot. There are four large air-conditioned rooms, each with a double and twin bed, that cost $15 or $20 per night. The air-conditioned rooms are relatively large and some, but not all, have flat-screen televisions (so be sure to ask if this is important to you). Rooms have a desk and chair and a good WiFi connection. There’s nothing particularly exciting about the decor, but the rooms are clean and cheerful, which with inexpensive rooms is not always a given. Cheap and cheerful but extremely tidy. Rainbow Bridge Guesthouse also offers bicycle rentals ($1 per day) and moto rentals ($5 per day), as well as a range of services, including laundry and bus ticket and tour bookings. Recently, one of our favorite restaurants in town, Ecran Noodles, has moved in to Rainbow Bridge, offering inexpensive hand-pulled noodles in the garden in front of the hotel. All in all, we enjoyed our stay at Rainbow Bridge, which was great value for money and offers a friendly Kampot experience. Air-conditioned rooms are bookable on Agoda, but fan rooms are not. 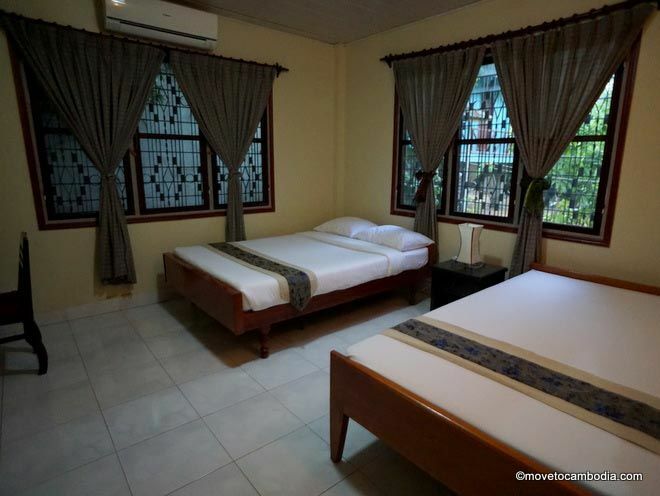 → Check prices and book a room at Rainbow Bridge Guesthouse on Booking.com or Agoda now.